This is a terrific book. Authors Michel Cormier and Achille Michaud have captured an era in New Brunswick political history that is as lively as good daily journalism and as relevant as good history. In spite of the title, the book isn’t a biography of Richard Hatfield in any strict sense; it’s a picture of a province through a changing time, with Hatfield at the centre and the usual cast of characters peopling the inner circle, the outer circle, the margins and the fringes. How can anyone say New Brunswick is dull? Hatfield was certainly one of the more interesting premiers in our country in the recent past and all the predictable stories are here: Bricklin, kickbacks and Francis Atkinson, the doll collection, the membership in the Parti Quebecois and the bizarre toast to the Princess of Wales and, of course, the marijuana affair. Some of the stories are more familiar (and more frivolous) than others but all, especially the chapter about the Atkinson affair, are meticulously researched and clearly presented. Other stories (and I was a journalist in New Brunswick and knew Richard Hatfield socially) are less familiar; the authors had good sources and have an engaging way with anecdotes. Maybe the most interesting thing these authors bring to the book is their own Acadian background. Not a lot has been written for English-speaking readers about the political dynamics of the Acadian communities and the relationship Hatfield was able to build with them – which most certainly was one factor in his longevity as premier. 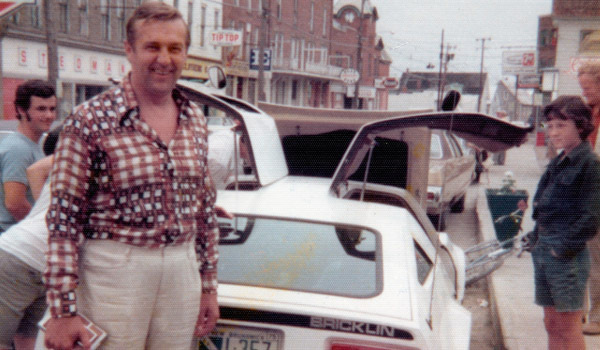 Certainly Hatfield was a charming and engaging man and his life makes for an interesting story but a reader coming to New Brunswick politics for the first time must wonder how anything got done in the province, how any progress could be made. 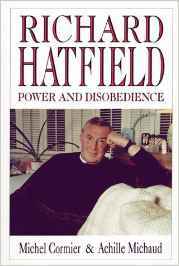 And in truth, many things didn’t get done; progress was limited to one or two areas of Hatfield’s special interest. There was an ambivalence about Hatfield in the province which I think these authors understand very well. Some people voted for his governments because to vote for another party was not an option to be considered. In this day and age, it’s a wonderful thing to read a book that has all the words spelled right and is almost completely devoid of editing inaccuracies. (Okay, IODE stands for Imperial Order Daughters of the Empire, not International etc. etc. In the authors’ defence, this is an organization not commonly found in Acadian communities.) In general, Goose Lane has made an attractive, readable book – with photographs interspersed rather than bunched in the middle. People in New Brunswick knew that, I think. That would be another reason for his political success over such a long period. The book is still available and anyone interested in looking back at fairly recent history would definitely enjoy it. This book is in my library, and your piece has convinced me it's worth reading. I am familiar with your writing going as far back as the Miramichi Leader and Atlantic Insight. Best wishes.